Yes, I am going to Hong Kong tomorrow (Friday morning). Am finally using my prize from last year's Best Hong Kong Travel Blog organised by the Hong Kong Tourism Board (HKTB). Have waited for winter so we can enjoy the cold weather, and be just in time to catch the Chinese New Year festive preparations. 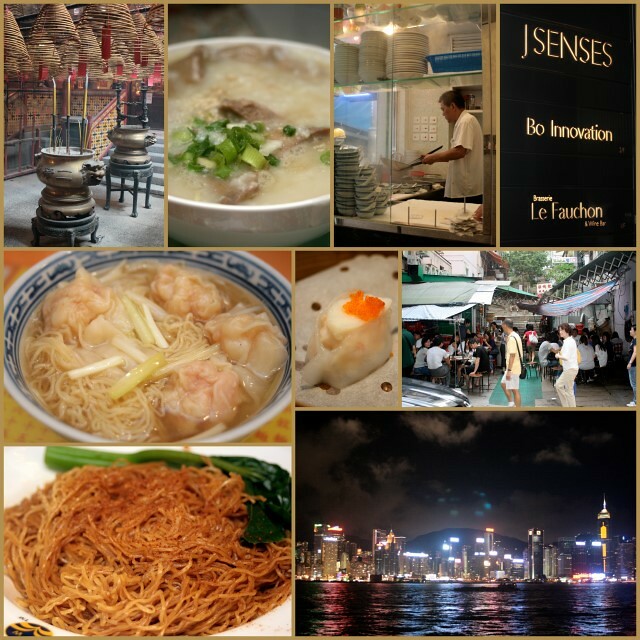 You can see my previous travel posts in my Hong Kong series. I covered more than a dozen eateries then. This time, I have also put together a list of eateries. There are just so many good places to eat in Hong Kong, and this is just from preliminary research. I will not be able to cover all these places on my 3D2N trip, but at least it's good to know and recognise places, and I'm also leaving room for spontaneous discoveries. If you guys have recommendations, please let me know too! Mak's noodles revisit? Maybe try the dry version this time. Law Fu Kee has very good congee. I would be quite happy to just go back there, but there are many other shops that also offer congee that's well-lauded. Luk Yu Teahouse instead of Lin Heung this time? Tai Cheung Bakery - those legendary egg tarts! Sing Heung Yuen - I am not sure how good noodles in tomato soup can be, but this ramshackle stall right opposite Kau Kee has locals queuing up for it. Apparently Dr Sun Yat Sen used to drop by too. Also popular is the baked bread with condensed milk and butter. See CNNgo feature on how they cook it! * Psst - heard that Hei Kee nearby is even better! Tim Ho Wan - OK, yes, I know where it is now. UPDATE: Tried and tested! Not bad. Photos here. Jasonbonvivant raved about the claypot beef ribs with lemongrass. And that boneless stuffed suckling pig too! Listen to the crunch as they cut the piglet into slices, in the video on Peech's blog! Oh, need to order a day in advance, and pay a deposit too. UPDATE: Yes, I tried it! Review here! Four Seasons Claypot - all kinds of clay pot dishes, and ultra-crispy oyster cakes. Sun Si Fast Food - greasy local burger with egg that reminds me of Ramly Burger! Don't expect gourmet or even hearty portions. TimeOut HK says it tastes like dog food. Hmm? UPDATE: French Window review here! It's fabulous!! And I just found this 'Ding! Ding!' Hong Kong Tram Guide that is really useful! Shows you the many interesting shops and eateries along the tram line stops. Again, my heartfelt thanks to the very kind folks at HKTB for making this trip possible. Kenny, haha, that's great. Hope it will be useful! I hope to expand the list even more! Have fun and enjoy your family trip, eat more shoot more share more :) Take care. Have a safe journey. For Four seasons, I would say don't get your hopes up too high. Oyster cake is pretty good but really oily. Had not decided where to go for this year's holiday, your postings have given me a push towards HK. Thanks to the others' contribution on what can be passed over. As usual, so little time but so much to eat. Hongkong during the day...Macau at night...http://www.ipswichplumbing.co.uk...Singapore during weekdays...loving it! 2. Go to Sham Tseng for 2 things. Yue Kee goose (best goose in HK) and Hot in a pot HK style hot pot. Can do Fa Ji dessert after that. 3. Roasted duck thigh hor fun - 2nd floor restaurant next to kai dan zai stall at junction of Austin and Nathan roads. Look for the Macs! Not sure if you like fresh pork innards congee or Century old eggs with salted meat congee, and also Jia Jiang Mein/Won Tons, as I really like 新九記粥麵 in Wan Chai! Haven't had time to review it yet. And they do a rare congee hot pot but I haven't tried that. Ho Hung Kee's other famous dish is their congee, it is very thick and gooey! Even better than the beef hor fun there. What else? I would agree to give Mak Man Kee a miss, even the wontons and soup in 1st shop above is better! or Four Seasons Claypot is only good because it's cheap! Fuk Kee is a local's favourite, but for me its a little.. I much prefer the roast Goose Leg at Yat Lok Restaurant in Central, near where Mak's, and virtually next to Luk Yue and Holly Brown is. How about some Tofu Curd shops? Too many choices. Japanese gelati Milkissimo near your hotel? 清真牛肉館 Islam Food ? I struggle to work out what to eat daily myself haha! Hey thank you everyone for your valuable comments and recommendations! I managed to read them in HK and fine-tune my plans there, but it was really too short a trip to explore everything I wanted to! Am sorting out photos now...should start posting the 15 or so posts soon! Thanks! Timely too, should come in handy for my impending trip. I would settle for more street foods this time around, and not wasting time going in circles and ending up in cafes.